By Howard Blake. Arranged by Stephen Rockey. 11 pages. Published by Stephen Rockey (H0.240949-897640). 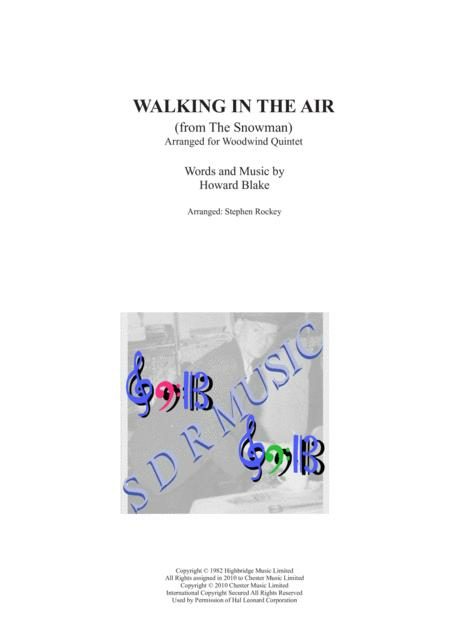 Walking in the Air from the animated film The Snowman by Howard Blake. 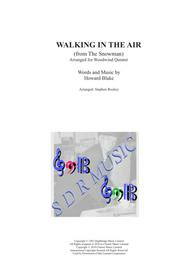 This is a simple arrangement for Woodwind Quintet, easy to play and a good item for any Christmas concert or event.